Is your current automobile acting up? Do you wish that you could repair your car or truck with ease? Instead of replacing your entire vehicle, purchase an affordable used engine. When you purchase a used engine from a reputable retailer, you are not only giving your automobile a second life – you’re also saving a lot of time, energy, and money. All of our used engines have been thoroughly inspected by professionals, and all of our engines are top-quality. If you know exactly what kind of engine you need, take the time to look around our website. Or, better yet, give one of our engine experts a call. You’ll quickly discover that our experts know all about your automobile, and all about used engines of any kind. If you’re not sure what kind of engine you need, simply tell one of our professionals about your automobile. With just a bit of information, we can find the perfect engine for your car or truck. Since all our engine experts know all about used engines, you’ll never have to wait around for an answer to a simple question. All you have to do is call our Toll Free number, speak with one of our representatives, and gain all of the information that you need within the blink of an eye. What you won’t find are sales people who don’t know anything about engines or overpriced used parts. When you decide to purchase a used engine, you are making a wise financial decision that should be backed by a strong warranty. That’s why all of our used engines are backed by great warrantees. Purchasing a used engine shouldn’t be a complex ordeal, which is why we’ve gone the extra mile to make buying a used engine easy on your sanity and your wallet. Since we pride ourselves on finding the perfect used engine for you quickly, we have live customer representatives waiting to take your call. As soon as your call is received, one of our professionals will access an exclusive database filled with used engine manufacturers and retailers. Within moments, we can located, price, and send the engine that you need to your home – it’s just that simple. When it comes to used engines, nothing beats our extensive network of excellent engine providers. Researching used engines can take days – even weeks. 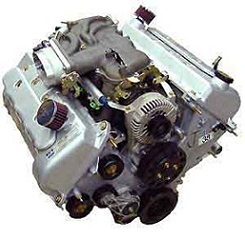 Save yourself the time and hassle of looking for the best used engine at the best price by purchasing your used engine from UsedEnginesSale.com. There are lots of used engine retailers out there, but we’re the only company that can offer you exclusive access to a large database full of used engines of every kind. We’re also the only company that can offer you live engine experts – our professionals know used engines inside and out. From Vintage Engines to Newer Models, We Have The Exact Used Engine You Need.